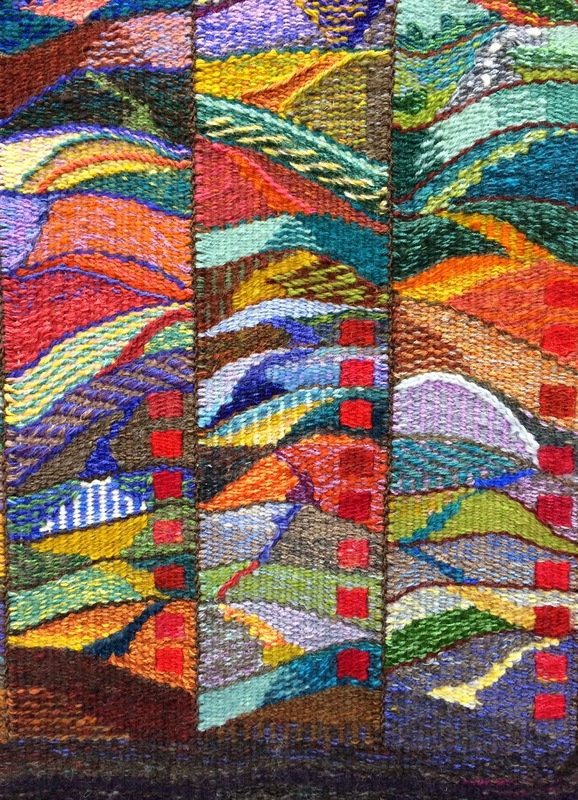 Almost ready to leave for Georgia and the Joan Baxter workshop sponsored by Tapestry Weavers South. 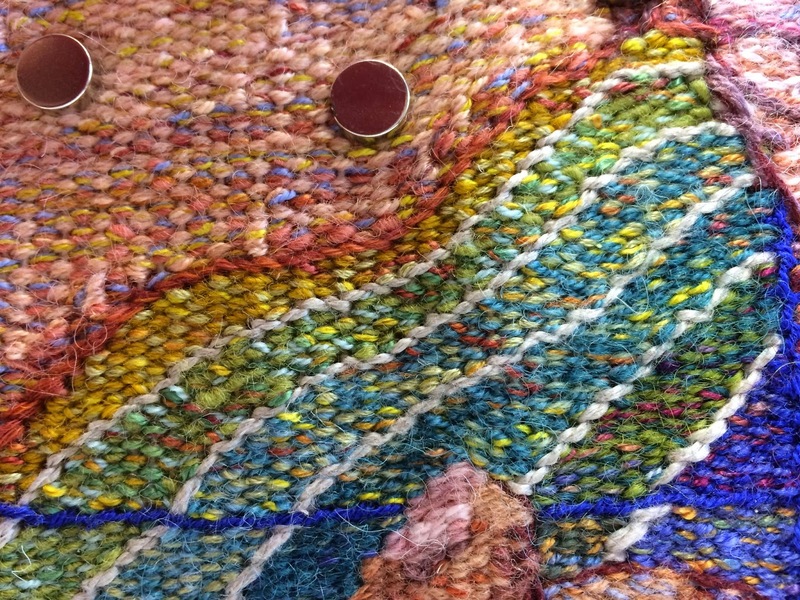 My loom is warped and my personal collection of Ymmyarns and John Moss bobbins are also coming along. 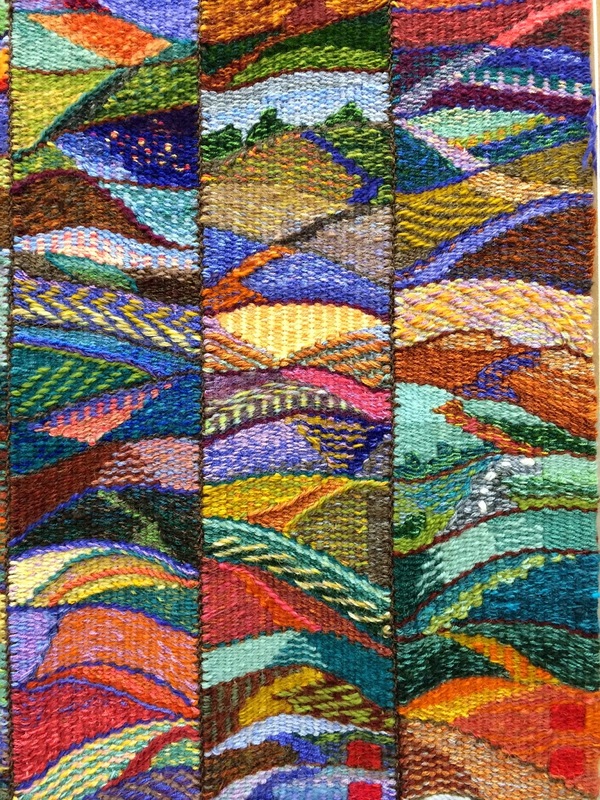 The largest two tapestries finished in 2013; The Mango Hunters and the 2013 Tapestry Diary Triptych are already at the University of North Georgia. 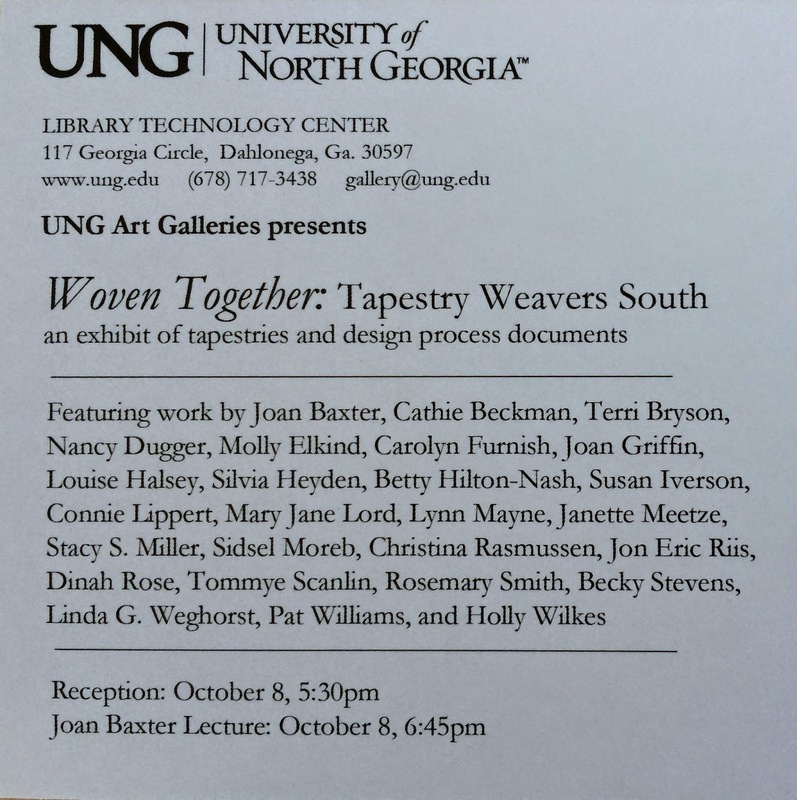 The exhibit opening on October 8th and the artist talk with Joan Baxter are eagerly anticipated! I have been studying Joan's work on the internet ever since the possibility of studying with her arose. It amazes and astounds me! 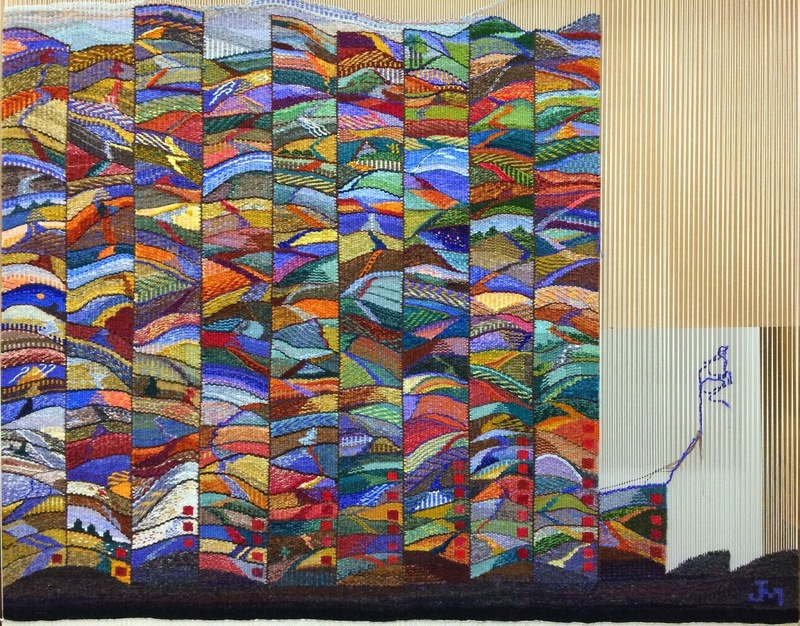 I admire her affinity for the landscape and her ability to speak so eloquently of it in the tapestry medium. I am somewhat dazed and feeling very privileged to have this opportunity, and okay a little nervous too. Add that to the reviews I have read of her workshops from Rebecca Mezoff and Katie Russell and my mind is so full that my body can't keep up! 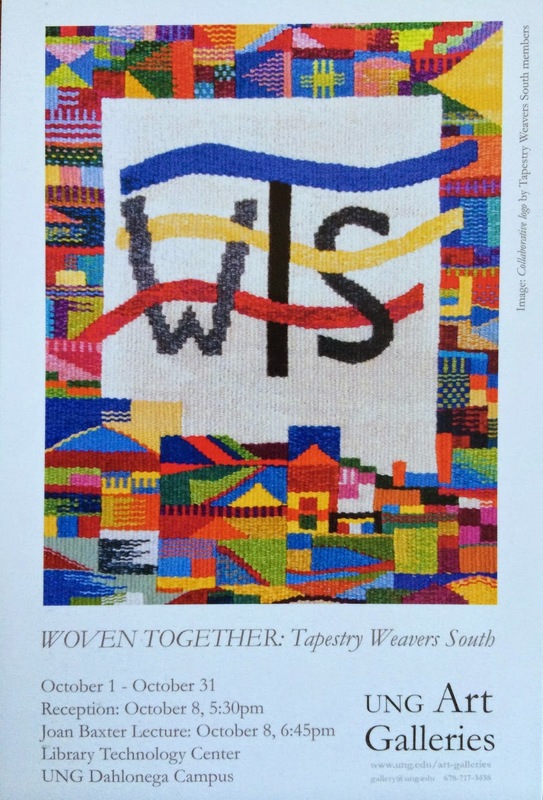 The name of the workshop I will be taking along with others from TWS is Weaving to the Medium. 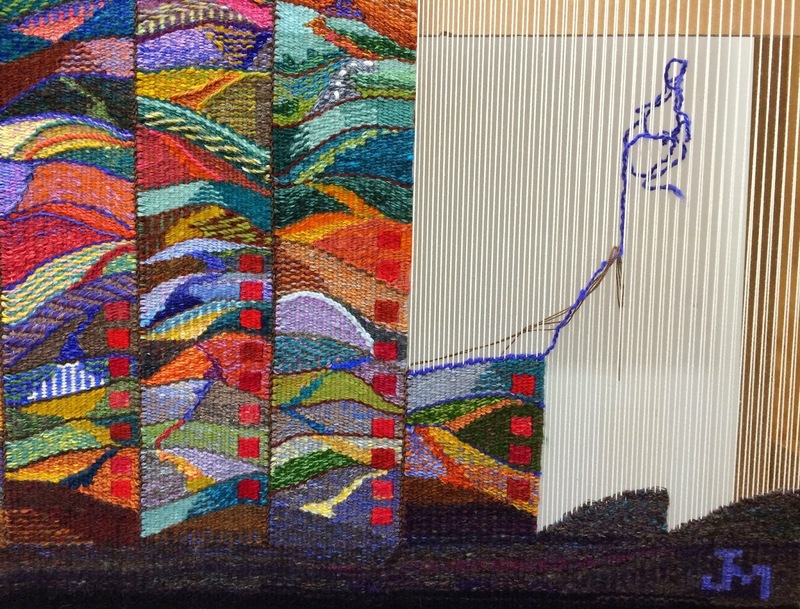 This is a topic which has been on my mind ever since I started weaving tapestry. The question of how to keep the design and expression in harmony with the medium and distinct from one of my other obsessions, drawing. 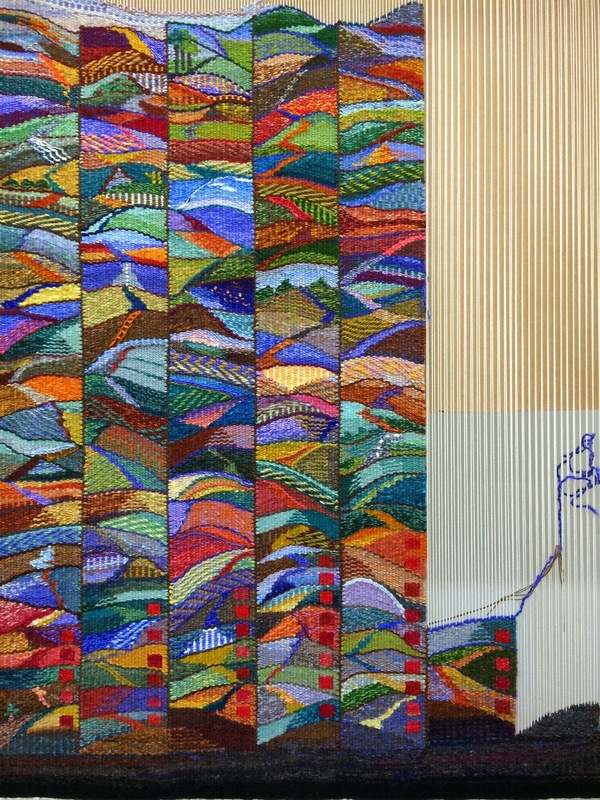 In the past I have thought that the sketches I do provide impetus for design ideas in tapestry. Recently, I have discovered that it is a two way process. 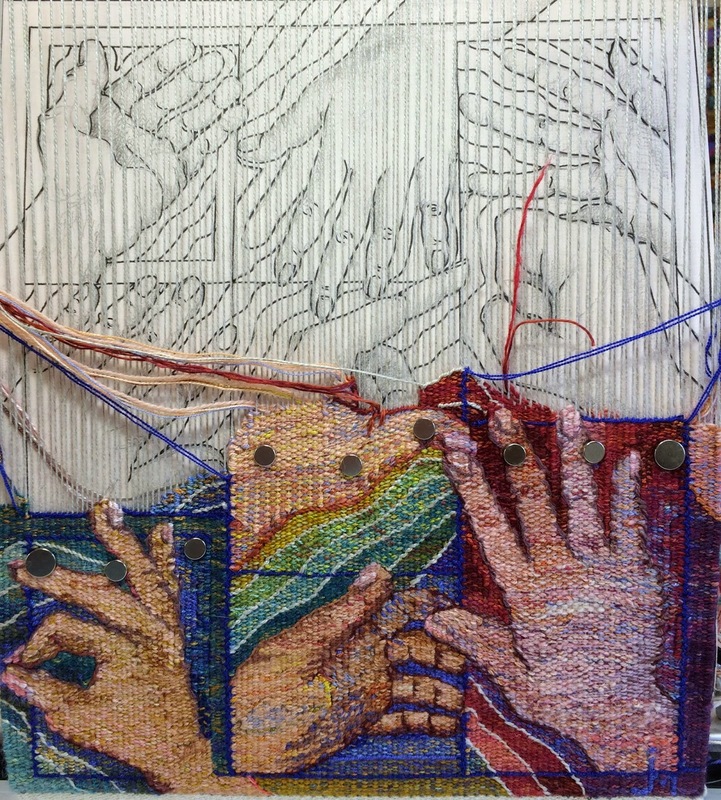 I have been weaving a tapestry with hands as the subject and I have an idea in the back of my mind for another design but the interesting thing is that in doing a little experiment in my sketchbook I realized that some of my sketches are being influenced by the fact that I also weave tapestry. This was my first experiment, a simple contour drawing using my left hand to draw the right hand and my right hand to draw the left. Here is the second with the same type of experiment. 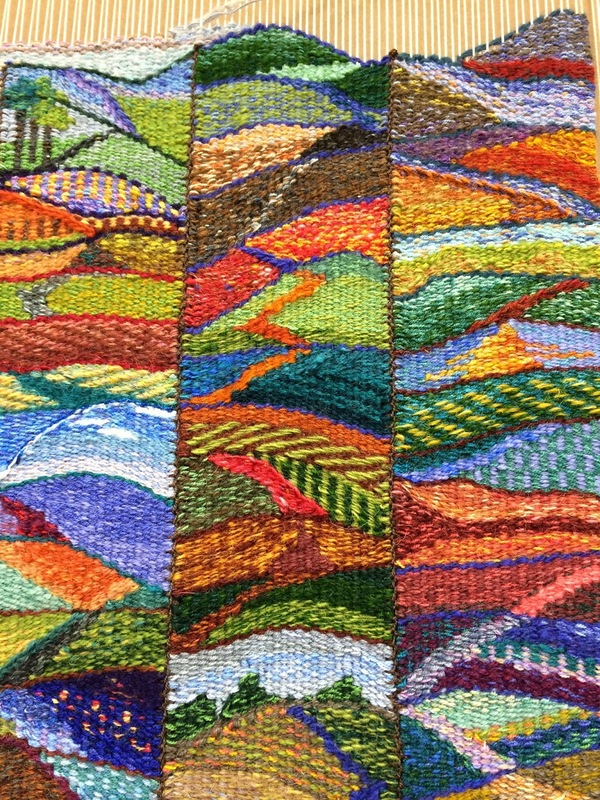 These have nothing to do with the design I have been thinking about for a tapestry but it is obvious to me that these sketches have been influenced by my weaving rather than the other way around. It is these kind of connections that make things so interesting for me! 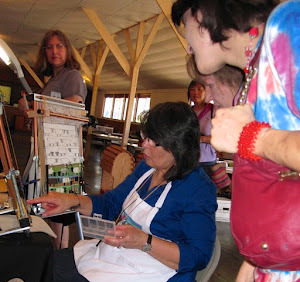 In addition to the workshop and the Woven Together exhibit I also have an opportunity to have a private consultation with Joan and I needed a way to show my current work. 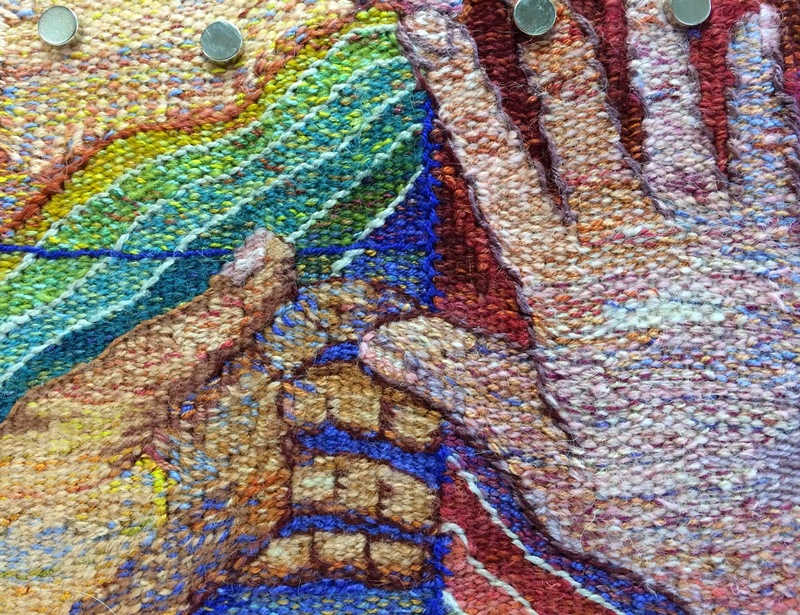 My thought was to share lots of progress photos and details here that could be accessed during our time together. 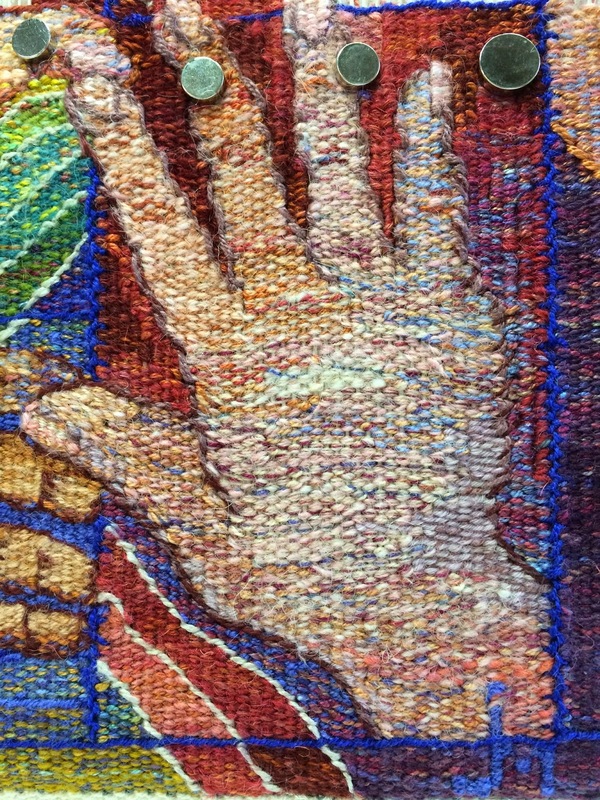 Here is the Hands tapestry. 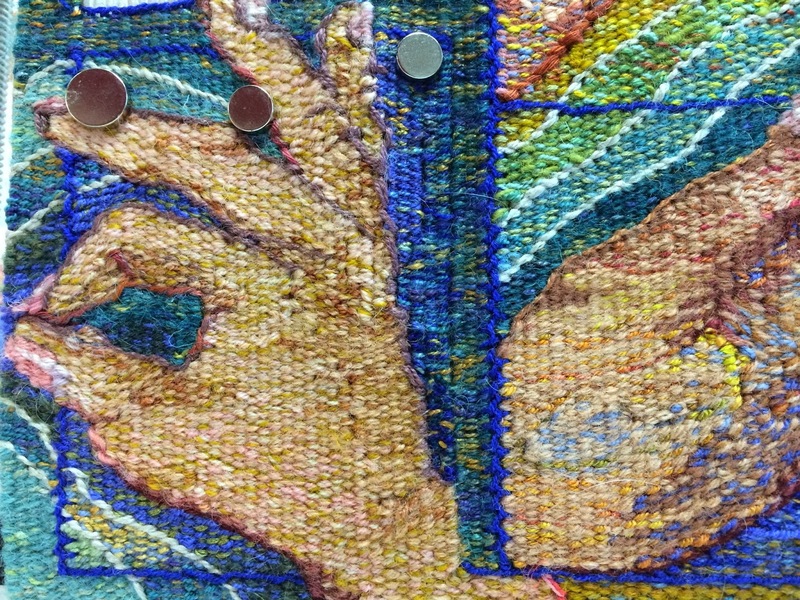 Not much progress lately as I have been so caught up in getting ready for this adventure and finishing an online class I have been taking at SBS but still hoping to finish it by the end of the year. Here is the last one! 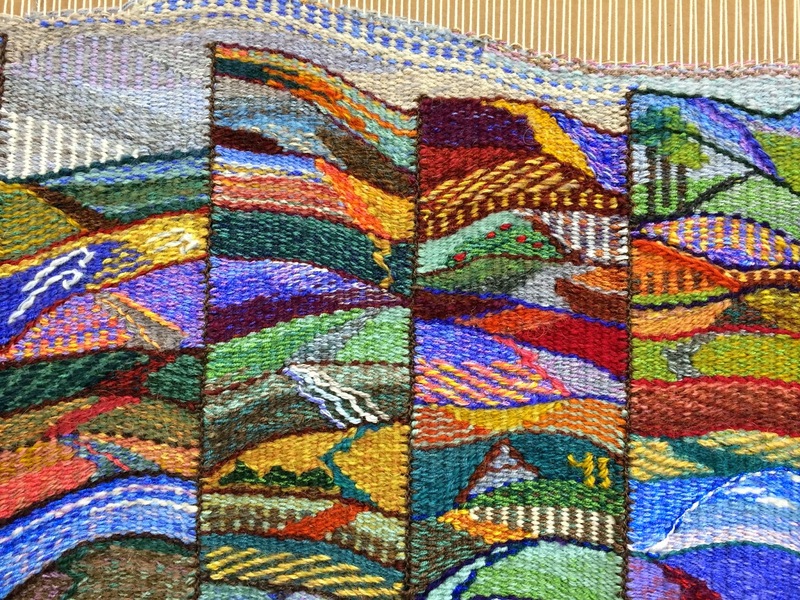 Moving on to the 2014 tapestry diary which I am beginning to call, Red Dirt Days. 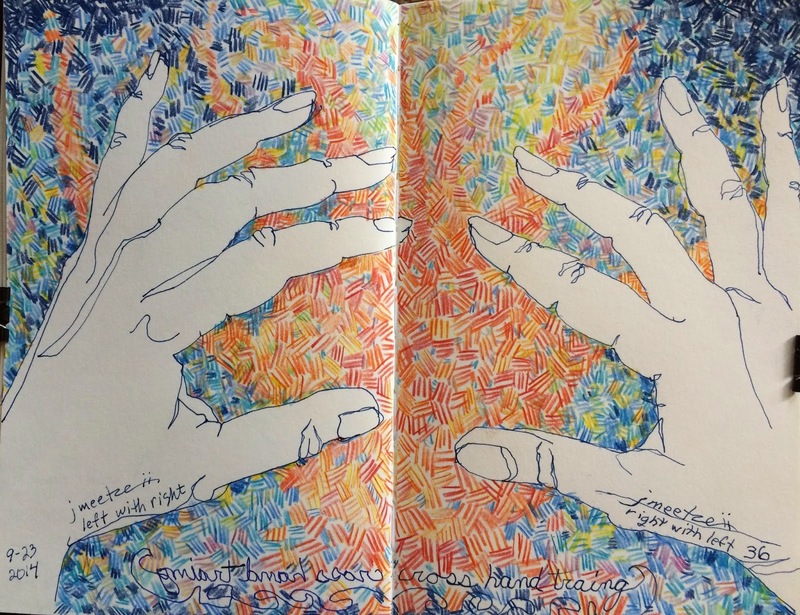 October has begun and my diary sketchbook is going with me so that I can draw the day as designs and weave them when we return. Looking at the overall view I have a graphic reminder of how little of 2014 is left! Here is another view of May through October 3rd 2014. Here is a closer look at the bottom right corner with the beginning of October. and working up for the same three months. Here we are at the top of the same three months. Here is a partial view of some of the work being done at the top of Red Dirt Days. 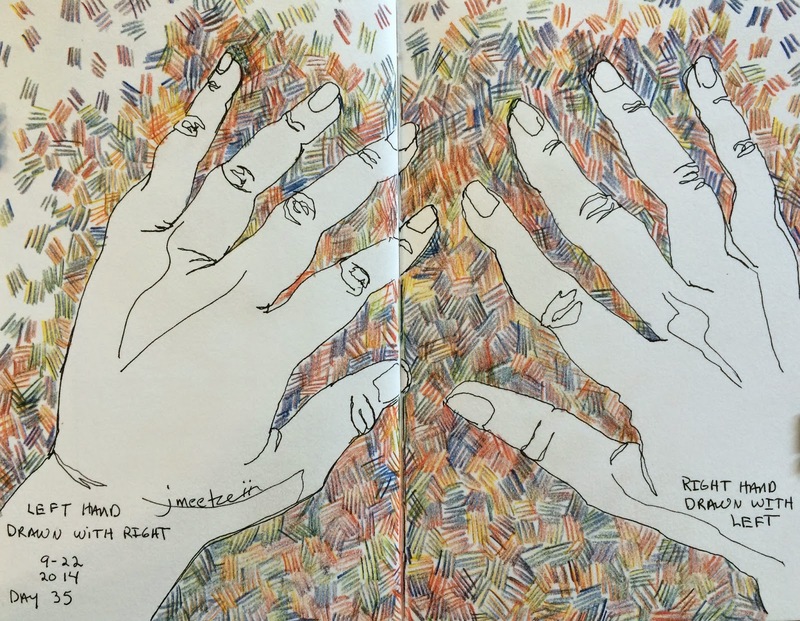 I am also bringing my sketches of ideas for next years diary and hope to discuss this with Joan when we meet. 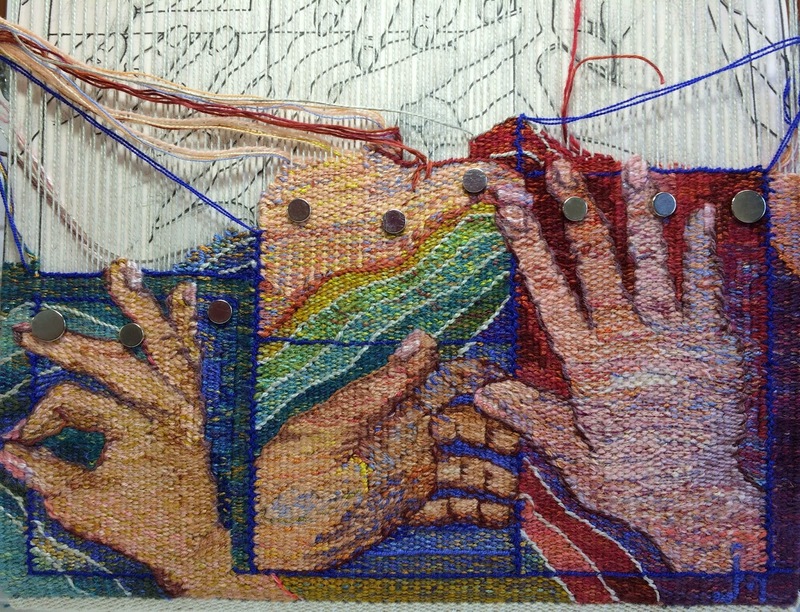 I feel certain to come back with expanded sensibilities and new possibilities for next years work!